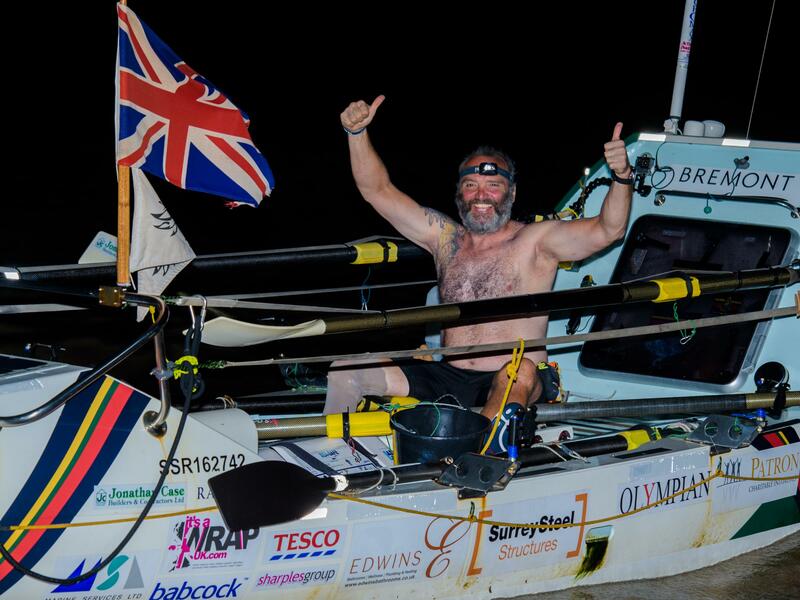 Lee Spencer, a 49-year-old single-leg amputee, celebrates after rowing solo across the Atlantic. "No one should be defined by disability," the 49-year-old told reporters after he smashed the able-bodied record. Spencer, a veteran of Afghanistan and Iraq, lost his leg in a 2014 Good Samaritan incident gone wrong. According to the Telegraph, he was helping extricate people from a car crash when another vehicle crashed, severing his leg below the right knee. While in the hospital, Spencer met another veteran who inspired him to join an all-amputee rowing team, which in 2016 became the first amputee team to cross the Atlantic. Spencer then decided to make the journey solo, raising money for the Royal Marines Charity and the Endeavour Fund. He set off Jan. 9, battling 40-foot waves, two bouts of gastroenteritis and the temptation of a bottle of whiskey he had brought with him. He often considered having a spot of whiskey at night, he told reporters, but he stopped himself. You can't drink anything on this journey, he said, "because you are just waiting constantly for something to go wrong, and you've got to react instantly." Spencer completed the 3,800-mile journey early Monday, Guyana time. "If I can beat a record, an able-bodied record, as a disabled man ... that is the reason why I wanted to do that," Spencer told the BBC. "To prove that no one should be defined by disability."